Her family also take advantage of the aid provided by the Fondation Fontana d?Haïti to take care their others children. 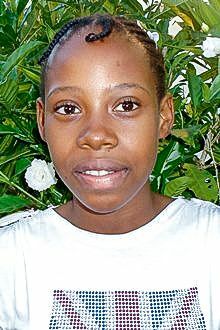 Jesula is mentally and physically fit. Jesula is from a family that struggles everyday to survive. Basic necessities such as: food and clothes are a big challenge for this family. Due to the incapacity of her family to care for her and her siblings. J?sula's parents are unemployed and barely grow enough crops to feed their children. They have seven children and they claimed that they are not even able to provide the basic necessities for them; and therefore, hope that J?sula will have a better future by coming at Fontana school. Tell your friends Jesula needs a sponsor!